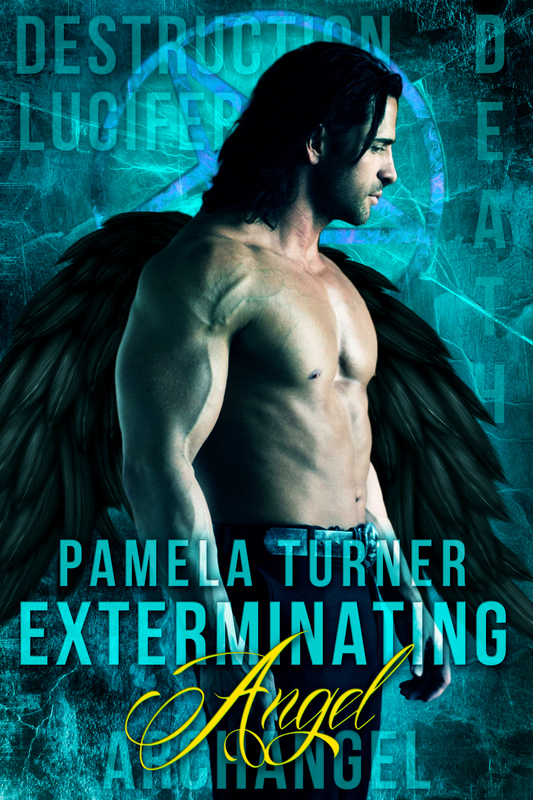 Exterminating Angel by Pamela Turner – A Review! Zaphkiel is lost inside himself. Still reeling centuries later from the execution of his lover Caliel, his heart is an empty black place. Being an archangel doesn’t help matters. Despite being an angel, he lives to cause as much hurt to the darkness as he carries inside of him. When Zaphkiel and his partner, Raziel, learn that there might be a demon inhabiting the body of a mortal, they go to investigate. Thinking he’s making quick work of the problem, Zaphkiel kills the mortal, unleashing the demon upon the city. Complicating matters is the fact that now his boss, Ophaniel, is after Zaphkiel to execute him. He goes to Lucifer with one demand: make him a fallen angel. Lucifer agrees and introduces him to Sean. What Zaphkiel doesn’t know is that Sean is actually his lover, Caliel, reincarnated. I flat out loved this book. It’s hard to believe that it’s Turner’s first time writing M/M romance. The passion leaps off the page and she’s created the perfect bad boy we love to love in Zaphkiel. More than that, the plot is incredible. It touches on so many things: reincarnation, the Tarot, what’s right and wrong and where our choices lead us. It’s more than a gay romance novel, it’s a revelation. Turner has also done her research into occult matters. When Love reads the Tarot, all of her meanings are dead on target. I was totally drawn in, so much so that I read it twice. I felt for Zaphkiel and Sean and was moved emotionally by their trials. Turner is also deft at drawing up captivating secondary characters. There’s Lucifer, the devil himself, that is nothing like you imagined him. There’s Raziel, Zaphkiel’s partner and Love, Lucifer’s receptionist, who reads the Tarot cards with frightening accuracy. All of them are people you grow closer to as the book moves towards its incredible conclusion. In short, this book enthralled me and had me going on a thrill ride with Zaphkiel. It’s a novel that shows the true power of M/M romance. It’s a genre that can transcend genres and Turner does this in style. I can only hope that there’s a sequel!